Checkout our current orthodontics specials and coupons below for our NYC patients. We welcome new patients to checkout our dental special offers and coupons we are offering in our Midtown Manhattan office conveniently located near 30 East 40th St, New York, NY 10016. Includes one cleaning and evaluation as well as a full series of digital panoramic x-rays that can show the condition of wisdom teeth, TMJ and periodontal bone loss.. Offer can be redeemed at any of the three office locations (NYC, Monroe or Woodbury). Includes a Zoom! in-office whitening session, a teeth-cleaning and x-Rays. Zoom! is a bleaching process that lightens discoloration of enamel and dentin. The complete procedure takes less than an hour. The procedure begins with a preparation period followed by as little as 45 minutes of bleaching.. Offer can be redeemed at any of the three office locations (NYC, Monroe or Woodbury). Includes x-rays, a teeth cleaning and a Zoom! in-office whitening, plus the use of desensitizer, teeth reshaping, custom trays and and whitening product for at-home maintenance. Offer can be redeemed at any of the three office locations (NYC, Monroe or Woodbury). Schedule your no-obligation Invisalign consultation near Midtown Manhattan with Dr. Jacquie Smiles at her office located at 30 East 40th St, New York, NY 10016. Call us at 646-781-8153 or fill out the contact form to receive more information. Orthodontic treatment uses appliances like Invisalign or braces to fix the way teeth and jaws are aligned to perfect your teeth and smile. Dr. Jacquie Smiles offers several options to treat your overbite, crowding, spacing and and to correct other dental issues. Receive a complimentary initial orthodontic evaluation when mentioning this coupon when scheduling your first visit at Dr. Jacquie Smiles in NYC. 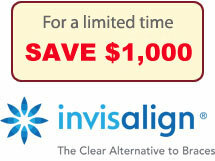 Receive $500 off your first orthodontic treatment with this promotion. Ends December 31st, 2015. To learn more about our dental monthly specials, deals and coupons for orthodontic treatment offered at our NYC office, please contact us today or fill out the contact form to receive additional promotions.